As a songwriter, I always appreciate a carefully-crafted phrase. Whether in a radio song, or a poem, or even Instagram sometimes, I marvel at the way some talented and creative minds are able to put words together in just the right way to express a complicated thought. 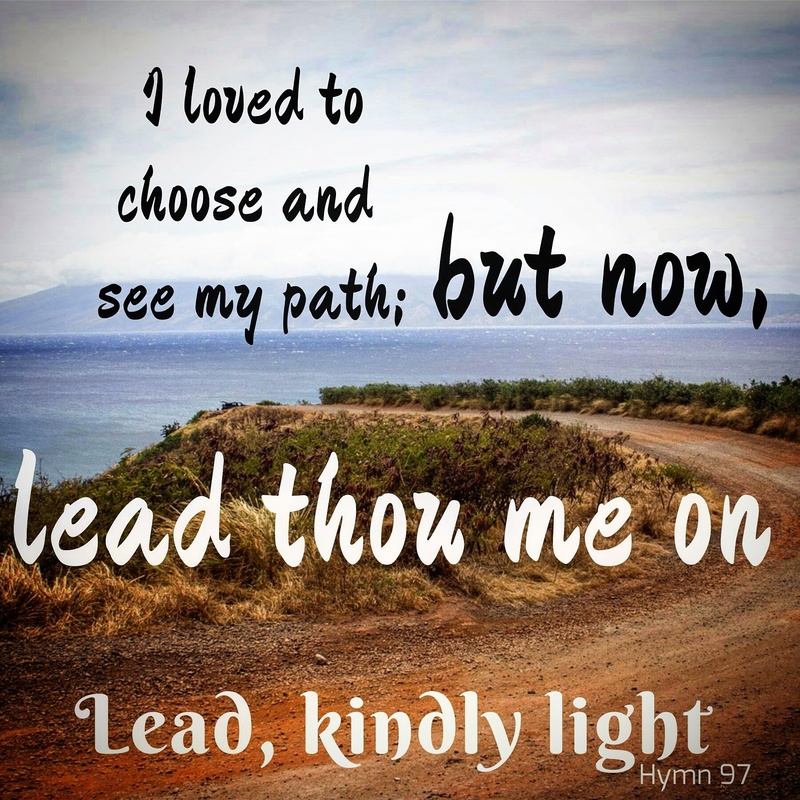 I am inspired to reach a little deeper as I choose words for my own songs. Lately I’ve been thinking about other songwriters from years past: the clever creators of our hymns. I believe they were inspired by God to write the words and notes they did, but I also believed they worked very hard to choose the perfect words to describe the feelings God was giving them. I wonder what their lives were like to pen such ideas in interesting ways. As I have been singing their words lately, I notice that I feel the presence of God, and I also notice exquisite artistry. These were wordsmiths who trusted God and wanted to please Him so much that they worked and worked at their craft. I can see it and appreciate it. A few weeks ago I noticed the line “In the quiet heart is hidden sorrow that the eye can’t see.” (Hymn 220, Lord I Would Follow Thee). As I pondered this phrase, I noticed that the word “quiet” was chosen purposefully to give another layer of meaning. Often we may not notice people who are filled with sorrow because they are quiet and somber. I learned to look for those with quiet hearts that day. And just this past week I felt God literally guide my feet. I was headed out for a walk with my baby. I usually follow the same path each time because I love the cattails along the trail behind my house. But that morning I had a sudden thought to walk on the neighborhood roads behind my house. I decided to follow that feeling and began walking past houses instead. A few minutes into my walk I noticed a neighbor loading up her babies for a walk. She was by herself, just like me. I asked her if she wanted to walk together and we walked and talked together for nearly an hour. Our conversation changed the course of my entire life… JUST kidding. We really just talked about normal stuff- kids, jobs, house, church. But it was so nice to just chat. I didn’t know how much I needed that until I ended my walk and felt rejuvenated in a way that human connection provides. 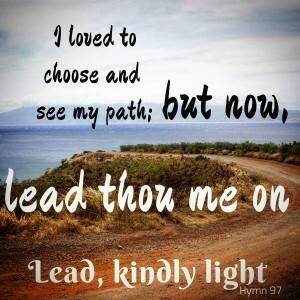 Later I found a line in a hymn that really stuck out to me: “I loved to choose and see my path, but now; lead thou me on.” (Hymn 97, Lead Kindly Light) I felt connected to the author that it feels good to follow the Lord’s path for me. I am grateful that my feelings have been felt before, by good people who worked hard to describe them and put them to music. It’s another sign to me from a God who loves me, that I am not alone. That across time and space, another person can reach me and comfort me. What words have jumped out at you lately? Have you thought about the person who wrote them?